It’s common in fantasy baseball to factor parks in when helping value players. Lorenzo Cain saw a boost in value in season-long leagues because moving from Kansas City to Milwaukee was expected to boost his offensive numbers. Daily park shifts can similarly help us to deduce value in each game. At this point in the evolution of daily fantasy baseball, using offensive park factors is fairly common practice, and the edge is reduced in knowing parks in Colorado, Texas, and Cincinnati are offensive boons while parks in San Francisco and Pittsburgh favor the pitcher. But one area of park factors that is seldom discussed is their effect on strikeouts. A close look at the data shows that certain parks inflate strikeout totals while other parks suppress strikeout totals due to some combination of several factors: amount of foul territory, elevation, batter’s eye, and potentially other small, unknown but impactful factors. A good example of this is Houston ace Gerrit Cole. 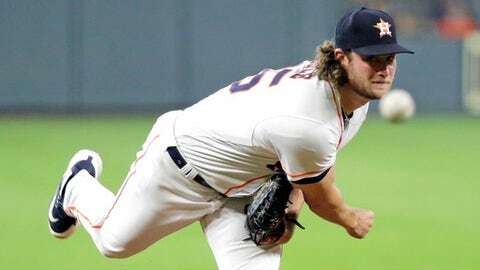 Cole moved from PNC Park in Pittsburgh, a park that historically suppresses strikeouts at a high magnitude, to Minute Maid Park, a park that historically increases strikeouts. Minute Maid Park has the third least amount of total fair and foul territory, and Cole’s home strikeout rate has risen from 21.6 percent in 2017 to 38.7 percent in 2018. Clearly, there are other factors at play, but Cole’s home strikeout rate has increased at a rate 2.5 times greater than his away strikeout rate has increased. This is important since strikeouts are the most important category to focus on when selecting a daily fantasy pitcher. Viewing park factors in this light helps to find overrated and underrated spots for pitchers to pitch in. Philadelphia, Chicago (AL) and Cincinnati are all traditionally hitter friendly parks that inflate strikeout totals, while Oakland, Kansas City and St. Louis are traditionally pitcher friendly parks that suppress strikeout totals. These are stadiums where the market may not react correctly when evaluating starting pitcher value for daily games.